These days, children are given intelligence tests by the time they turn five. This is very important as it helps teachers and parents to identify particularly gifted children, as well as children who are struggling, so that appropriate interventions can be made. Often, however, children may score low on a child IQ test simply because they haven’t been given the opportunities they need to reach their full intellectual potential. Fortunately there are a number of ways to stimulate your child’s brain form the comfort of your own home, all of which will boost your child’s IQ score the next time they are tested for normal development. Please Note: Throughout this article it is important to remember that different children develop at different rates and that an expert opinion should be sought regarding your child’s developmental level if you have any questions or concerns at any point. An important aspect of IQ is language skill. Many IQ tests rely heavily on testing a child’s verbal skills and comprehension and should therefore be the focus of any attempts by a parent to build child IQ. The best way to do this is by talking to your child all the time about everything. You can let them guide the conversation, because the topic is less important than the conversation in general. Make sure that they have all the vocabulary that they need to discuss the topic in question. Children from homes where there is a lot of conversation, communication, and language exchange tend to score substantially higher on IQ tests than children who come from a home where there is not a high concentration of language focus. If more than one language is spoken in the home, converse constantly with your child in both languages as children can learn languages far quicker than adults. Being able to speak more than one language can have a significant impact on a child’s verbal reasoning skills. Children are usually given a child IQ test before they even enter kindergarten. It is therefore important to know what ‘normally’ developing child should probably understand by the time they are ready to enter kindergarten. The best way to prepare your children to absorb this information is by reading concept books to them. Concept books are books that teach things to children along the way, such as books of basic words and ‘How Things Work’ books. Often these books teach children by presenting information in the form of a story. Note: although concept books are enjoyable children often prefer straight story books, so don’t focus solely on knowledge gathering. Any book will teach your child something, so have a balance and include many different topics on their bookshelf. Child IQ tests have a strong focus on memory, so it is a good idea to play memory enhancing games with your children. Don’t just read them a story and put the book away – ask them questions about it afterwards, or ask them to tell you the story back. Give them the book so that they can pretend that they are ‘reading’ the story – this will make it more exciting for them. Use colorful objects to make patterns, cover the patterns, and see if your child can accurately reproduce it. A very good memory game involves choosing between 5 and 20 different household objects (the exact number depends on the age of the child), giving your child some time to study the objects, and then covering them with a cloth. The child must then list as many of the items that they can remember – this is an excellent game for building your child’s memory skills over time and can make a significant difference on any child IQ test. 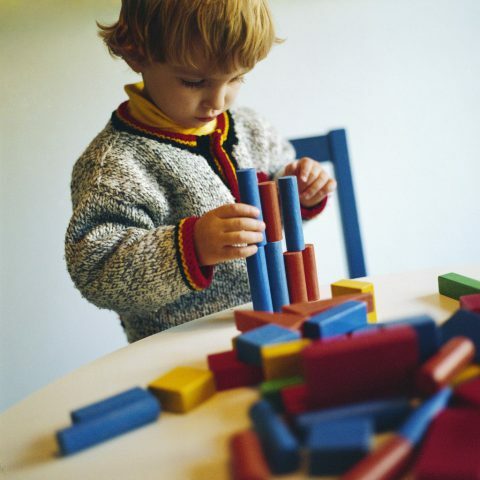 Verbal comprehension and memory are not the only skills that are tapped by child IQ tests. Their basic math and numerical abilities are also taken into account. Depending on the age of the child they will be expected to have different skills in this area, but you can build your child’s math IQ by bringing math concepts into daily conversation. Children can start to count at a very early age, and it doesn’t take long for them to start figuring out the basics of addition. Build on their natural abilities to give them a head start. When your child performs an IQ test they will probably be required to use items similar to these, so allowing them to play with them from an early age will not only prepare them for the IQ test, but also give them a head start in life. When the ball rolls behind the console, ask him to come up with ways to retrieve it. When he can’t get dressed in time for school, let him think of ideas to get ready faster. If your child is allowed to play an active role in making simple choices about their life, they will become better decision-makers in the short- and long-term. In addition it has been shown that children who are given a certain degree of control over small decisions in their lives have better cognitive skills. Think of creative and fun ways to develop your child’s reasoning and build on basic reasoning concepts to create a home environment that offers rich stimulation for your child’s cognitive and overall intellectual development, abilities, and skills. 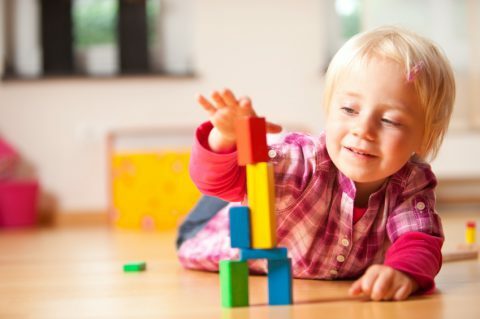 Fine motor skills and creativity are important components of a child’s IQ. Both of these can be addressed by supplying your child or children with a number of opportunities to engage in arts and crafts. The more craft materials you have on hand, the better. Guide your children through making basic and complex objects as well as allowing them to experiment with the tools that you have given them for themselves. Fine motor skills relate to your child’s ability to control their hands and fingers – by engaging in craft projects they will develop these skills. They will also be allowed to tap their creative side and discover what they are able to create. This also goes a long way towards improving their imagination, another important aspect of intelligent behavior as it allows children to imagine situations that they have not yet experienced and consider solutions to problems and situations that they have not been faced with before. Craft materials and projects should be age appropriate in order to offer the maximum amount of stimulation. Different children will prefer doing different things. Although it is important to cover all of the basics, don’t push a child to do crafts if they would prefer to hear a story or force children to play memory games if all they want to do is chat. Most children are more advanced in certain areas than others based on their natural abilities as well as on what they prefer to do. If you offer them a broad spectrum of opportunities for learning, however, they will develop all of the basic skills they need in all areas, even the ones that they don’t like very much, which will adequately prepare them for child IQ tests as well as for school and life in general. Remember to consult an expert if you feel that your child is not developing at what is considered to be a ‘normal’ pace.